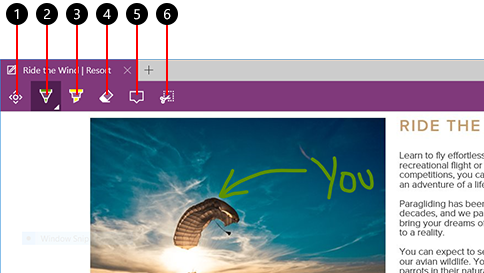 – Select Microsoft Edge on your taskbar, and go to the page you want to write on. – Select Make a Web Note Web Note and then select Pen (2), Highlight (3), or Add a note (5) to mark up the page. Select Pan (1) to move around the page, and Erase (4) to delete marks or notes. Save or share your Web Note, or select Clip (6) to copy part of the marked up page to your clipboard. I will be 80 years old this year but, I think I am ready & able to serve jury duty. I would really like to serve if possible.